Starting a blog can seem tough if you don’t know where to start. On this page I’ll show you how to easily do it, step by step! Please note this page has affiliate links, which give me a commission when you buy through them. I only recommend services I find valuable and you can rest assured using these links add no additional cost to you. 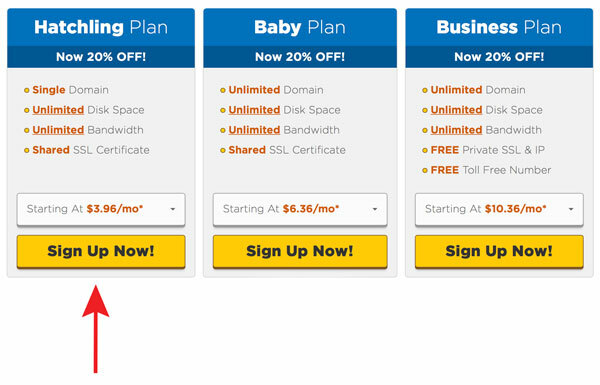 Before we get started: There are options for “free” hosting, but they have catches. The main one is you will have much less control. You’ll be limited with changing designs and limited by the type of content you can post. When you outgrow them and want to move later, you’ll have to pay someone big bucks to get it done right. This is why I recommend starting with an affordable, professional host to start, so you don’t have to worry about moving later. A host will store and serve your website’s files to visitors. For a new blog, you don’t need pricy options and can stick to basic hosting. You can always upgrade service later. 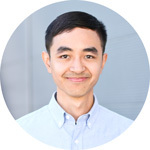 I used to run and manage dozens of affiliate websites (what a nightmare that was) and I’ve tried dozens of hosting services. It quickly becomes apparent why the cheap ones can price that way: it can literally be impossible to get help. Some have very limited hours for support, or you deal with lots of server downtime, or even hosts that go out of business. I recommend using HostGator because they’ve been excellent for me. Of the major hosting companies, they also happen to be the most affordable one over time. Head over to Hostgator and click the “Get Started Now!” button. The “Hatchling Plan” is more than enough to start and host your new blog. 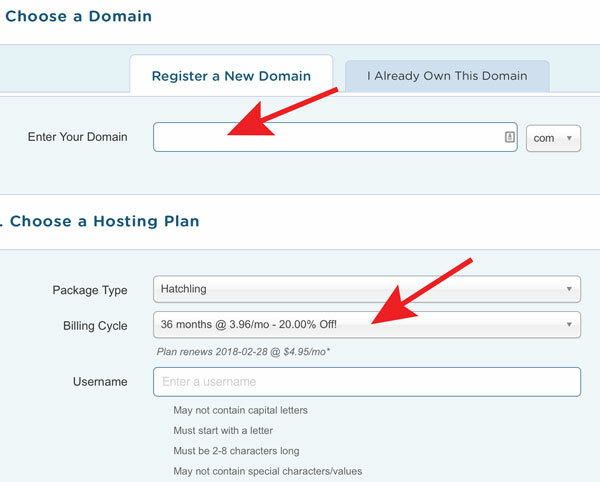 You get a bigger discount for choosing longer cycles, but what I really like about HostGator that other hosts don’t have is an option for a monthly billing cycle. Uncheck all the options under “add additional services” since you don’t need these. 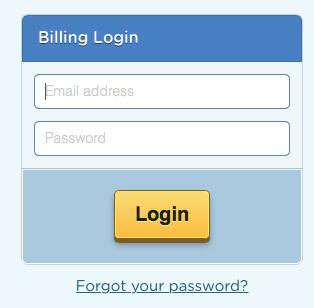 After you choose and pay for a plan, you will receive an email with login information. 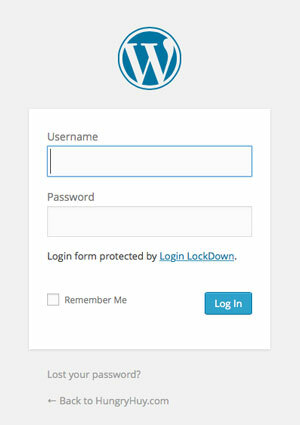 Leave the first field blank so your blog installs at the root domain instead of a subfolder. Fill out each field with your blog information. Make sure the Admin Email is one you already have set up now since you will get login information sent there. 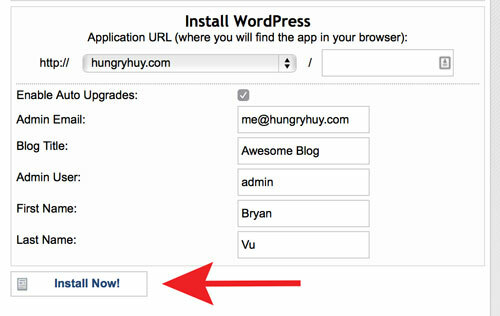 Then click “Install Now” and wait for WordPress to install–it’s quick! When the installation is done you’ll get your login URL (admin area), username and password. Done! Your blog is officially installed and ready to rock!